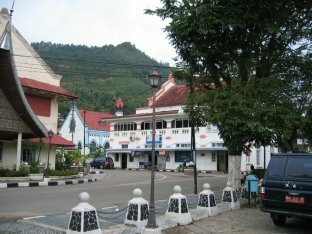 Sawahlunto is the only coal mining town in West Sumatra, known as the town of the Black Pearl. 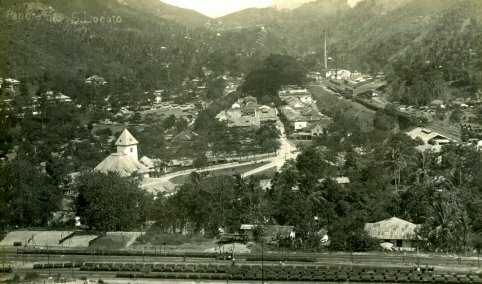 Coal was found here since the mid-19th century and afterwards the Ombilin mines were build. 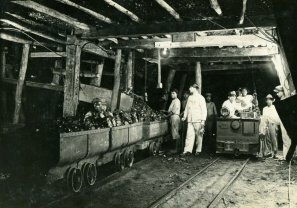 Already in 1894 an electric power plant was constructed using coal as fuel. 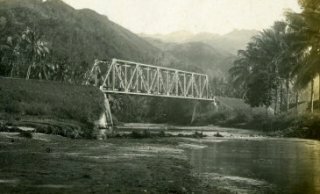 A few years before, in 1889, a start had been made with development of a railway line from Padang to Sawahlunto, for the transportation of the coal to the port Emmahaven (Teluk Bayur) in Padang. 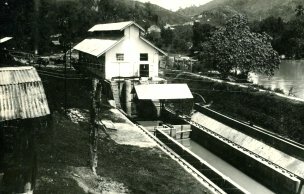 Sawahlunto became a small but important town with public facilities, offices, hotels, and stores. It is nowadays a tourist destination as an old mining town with fine colonial architecture. 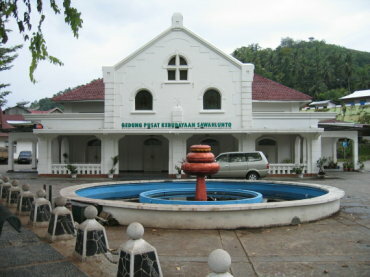 The former club, built in 1910, is now the cultural centre of Sawahlunto.